This bronze paisley pattern blazer has all of the moxie you're seeking when getting all the attention on you is your goal. Featuring a head turning bronze multi color paisley woven fabric with side vents and designed in Italy. 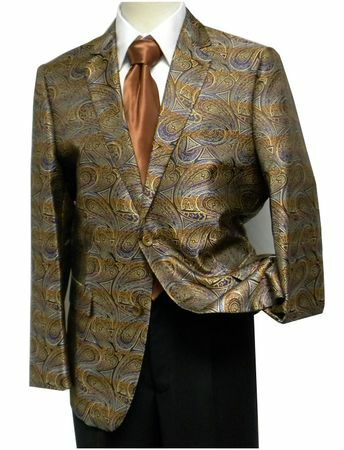 Pronti makes the style blazers that entertainers and stylish men alike need to be seen wearing. Made of fine microfiber poly.